Peyton Manning, the most watched free-agent since the NFL’s inception of a free-agency in 1993, has finally found his future team in the Denver Broncos. 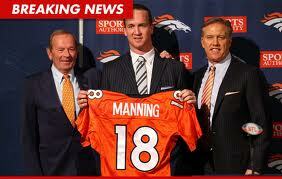 The Broncos were one of three teams aiming for Peyton along with the Tennessee Titans and the San Francisco 49er’s. 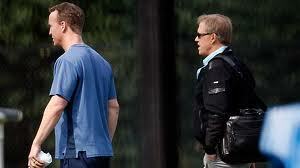 Peyton had his agent, Tom Condon, cease talks with the Titans and the 49er’s and finalize with the Broncos. 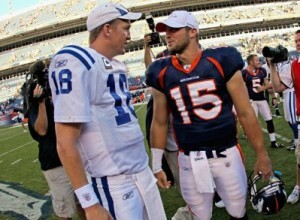 Vice-President of Football Operations for Denver, John Elway, was vital in this deal, pushing forward a 5-year $95 million contract for Manning. This is one of the first power moves by Denver since they won the Super-bowl in 1999, puting them in a place to perform well in the next season. Alternatively, with the acquisition of Manning, Denver quarterback Tim Tebow goes back to the trading block, despite his rise to fame with his last 8-8 season finish and a playoff win over the Pittsburg Steelers. Whether or not the Broncos are making the right moves, their gutsy calls should be commended and will hopefully put them in a position to perform well next season.